TOYOTA COROLLA 2.0 TD, D4D ,2001-2007. TOYOTA RAV4 2.0 TD, D4D, 2001-2006. TOYOTA AVENSIS VERSO 2.0TD, D4D, 2001-2005. TOYOTA COROLLA 2.0TD, D4D 1999-2001. TOYOTA COROLLA VERSO 2.0TD, D4D 2001-2004. RENAULT CLIO MK2 1.5 DCI 1998-2014. -RENAULT CLIO MK3 1.5 DCI 2005-2014. -RENAULT KANGOO 1.5 DCI 1997-2010. -RENAULT MODUS / GRAND MODUS 1.5 DCI 2004-2014. -RENAULT SCENIC MK2 1.5 DCI 2003-2014. THIS VALVE CAN BE FITTED TO THE FUEL RAILS WITH THE FOLLOWING PART NUMBERS. 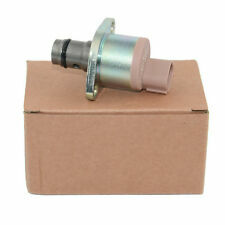 X1 FUEL PUMP PRESSURE REGULATOR VALVE (PART NO: 294009-0260). x1 FUEL PRESSURE RELIEF VALVE (PART NO: 6C1Q-9H321-AB). x1 FUEL RAIL HIGH PRESSURE SENSOR (55PP05-01). FORD 6C1Q9358AB. FORD 1514885. -CITROEN RELAY 2.2 HDI DIESEL. BMW 3 Touring (E91) 320 d 1995 120 4 Estate 2005-2012. BMW 3 Touring (E91) 320 d 1995 135 4 Estate 2010-2012. BMW 3 Touring (E91) 320 d xDrive 1995 135 4 Estate 2010-2012. BMW 3 Touring (E91) 320 d xDrive 1995 120 4 Estate 2009-2012. NISSAN NAVARA 2.5 DCI ALL BHP VARIANTS 2005-ON ENGINE CODE: YD25. However delays are occasionally inevitable due to unforeseen circumstances. NISSAN CABSTAR 2.5 DCI ALL BHP VARIANTS 2006-ON ENGINE CODE: YD25. AUDI - 059 906 051 C / 059906051C. FOR PORSCHE - 059 906 051 C / 059906051C. SEAT - 059 906 051 C / 059906051C. SKODA - 059 906 051 C / 059906051C. VAG - 059 906 051 C / 059906051C. VW - 059 906 051 C / 059906051C. Our products had passed ISO9001-2008, TS16949 and TUV check. Our ABS rings are zinc coated for extra protection and anti corrosion. CV Joint Hub Nut. TO FIT THE FOLLOWING MODELS;. Zone 2 (Rest of the World). THIS VALVE CAN BE FITTED TO THE FUEL RAILS WITH THE FOLLOWING PART NUMBERS Labour claims are never accepted. 2 PIN CONNECTION. Zone 2 (Rest of the World). C-CLASS ESTATE (S202). E-CLASS ESTATE (S210). TRAFIC II 2.2 DCI. TRAFIC II 2.5 DCI. RENAULT TRAFIC Box (FL) 2.5 dCi 2463 84 4 Box 2007-. RENAULT TRAFIC Box (FL) 2.5 dCi 145 (FL0J) 2464 107 4 Box 2006-. RENAULT TRAFIC II Bus (JL) 2.5 dCi 145 (JL0J) 2464 107 4 Bus 2006-. CV Joint Hub Nut. TO FIT THE FOLLOWING MODELS;. Zone 2 (Rest of the World). : OE (Manufacture Part No): 0928400508,A 646 074 00 840 928 400 508/ 0 928 400 534. We are car parts specialists dealing directly from manufacturer to you with over high experience in this market. FORD MONDEO III (B5Y) 2.0 16V DI / TDDi / TDCi D5BA,SDBA 1998 66 4 Hatchback 2000-2007. FORD MONDEO III (B5Y) 2.0 16V TDDi / TDCi D6BA,HJBA,HJBB,HJBC 1998 85 4 Hatchback 2000-2007. FORD MONDEO III (B5Y) 2.0 TDCi FMBA,N7BA 1998 96 4 Hatchback 2001-2007. Vauxhall Astra 1.7 CDTI All BHP Variants 2007 Onwards. VAUXHALL / OPEL ASTRA MK5 & ASTRA H 1.7 CDTI 2004-ON ALL BHP VARIANTS. VAUXHALL / OPEL COMBO MK2 1.7 CDTI / DI / DTI ALL BHP VARIANTS 2001-2011. VAUXHALL / OPEL CORSA MK2 & CORSA C 1.7 CDTI / DI / DTI ALL BHP VARIANTS 2000-ON. AUDI A4 (8EC, B7) 2.7 TDI 2698 132 6 Saloon 2006-2008. AUDI A4 (8EC, B7) 3.0 TDI quattro 2967 150 6 Saloon 2004-2008. AUDI A4 Avant (8ED, B7) 2.7 TDI 2698 132 6 Estate 2006-2008. AUDI A4 Avant (8ED, B7) 3.0 TDI quattro 2967 150 6 Estate 2004-2008. MITSUBISHI PAJERO IV Van (V90, V80) 3.2 TD 4WD 4M41 3200 147 4 Box 2010-. Mass Air Sensor. Fuel Injector. We are car parts specialists dealing directly from manufacturer to you with over high experience in this market. CITROEN C3 I (FC_) 1.4 16V HDi 8HY (DV4TED4) 1398 66 4 Hatchback 2002-. Zone 2 (Rest of the World). Searching by OE number, that's the. Always match the manufacture (OE) numbers to our lists of numbers. TO FIT THE FOLLOWING MODELS;. Zone 2 (Rest of the World). OE (Manufacture Part No) Always match the manufacture (OE) numbers to our lists of numbers. RENAULT KANGOO 1.5 DCI 1997-2010. -RENAULT CLIO MK2 1.5 DCI 1998-2014. -RENAULT CLIO MK3 1.5 DCI 2005-2014. -RENAULT MODUS / GRAND MODUS 1.5 DCI 2004-2014. -RENAULT SCENIC MK2 1.5 DCI 2003-2014. CITROEN RELAY 2.2 HDI DIESEL. L200 KA4T (KA, KB) 2500 DIESEL 4D56 / 2WD (TRUCK) 12/2005-ONWARDS. L200 KB4T (KA, KB) 2500 DIESEL 4D56 / 4WD (TRUCK) 12/2005-ONWARDS. MITSUBISHI PAJERO / SHOGUN 3.2 DI-D / TD DIESEL 2006-2015. ACCENT (LC) 1.5 CRDi 2002-2005. ELANTRA (XD) 2.0 CRDi 2001-2006. GETZ (TB) 1.5 CRDi 2003-2005. MATRIX (FC) 1.5 CRDi 2001-2004. SANTA FE I 2.0 CRDi 2001-2006. TRAJET (FO) 2.0 CRDi 2001-2008. TUCSON (JM) 2.0 CRDi 2004-2010. Suitable for all Td5 Defender models upto chassis number 1A622423. Part Number: LR016319G. Land Rover Defender Td5 Fuel Pressure Regulator. FREE CARRIAGE APPLIES TO MAINLAND UK ONLY. Pictures are for reference only and specifications may alter without notice. Suitable for all Td5 Defender models from chassis number 2A622424. Part Number: LR016318G. Land Rover Defender Td5 Fuel Pressure Regulator. FREE CARRIAGE APPLIES TO MAINLAND UK ONLY. Pictures are for reference only and specifications may alter without notice. DACIA LOGAN II 1.5 dCi K9K 612 1461 66 4 Saloon 2012-. KIA CARNIVAL I (UP) 2.9 TD J3 2903 93 4 MPV 1999-2001. KIA CARNIVAL II (GQ) 2.9 CRDi J3 2902 106 4 MPV 2001-. KIA CARNIVAL II (GQ) 2.9 TD J3 2903 93 4 MPV 1999-. JEEP CHEROKEE KJ 2002-2007 2.5 & 2.8 CRD. JEEP LIBERTY KJ 2002-2007 2.5 & 2.8 CRD. CHRYSLER VOYAGER 2.5 CRD from 2001 to 2007. CHRYSLER VOYAGER 2.5 & 2.8 CRD from 2004 to 2007. CHRYSLER VOYAGER MK3 III IV 2.5 2.8 CRD FUEL RAIL PRESSURE RELIEF LIMITER VALVE. CHRYSLER VOYAGER 2.5 CRD from 2001 to 2007. CHRYSLER VOYAGER 2.5 & 2.8 CRD from 2004 to 2007. Zone 2 (Rest of the World). DACIA LOGAN 1.5 DCI 2004-2012. -RENAULT CLIO MK2 1.5 DCI 1998-2014. -RENAULT CLIO MK3 1.5 DCI 2005-2014. -RENAULT KANGOO 1.5 DCI 1997-2010. -RENAULT MODUS / GRAND MODUS 1.5 DCI 2004-2014. -RENAULT SCENIC MK2 1.5 DCI 2003-2014. JEEP CHEROKEE KJ 2002-2007 2.5 & 2.8 CRD. JEEP LIBERTY KJ 2002-2007 2.5 & 2.8 CRD. Zone 2 (Rest of the World). CV Joint Hub Nut. TO FIT THE FOLLOWING MODELS>. Our products had passed ISO9001-2008, TS16949 and TUV check. BEETLE 1999-2010 1.8T. TT 1999-2006 1.8T. VW 058 145 710. VW 058 145 710 A. VW 06A 145 710 N. A4 1999-2008 1.8T. GOLF 1998-2006 1.8T. With these parts you can replace your defective parts simply plug and play. FORD 1386568. -LAND ROVER DEFENDER 2.4 DIESEL. FORD 1497165. FORD 6C1Q9H321AB. FORD 6C1Q9H321AA. With these parts you can replace your defective parts simply plug and play. III.Fit For the Following. CITROEN RELAY 2.2 HDI DIESEL. -PEUGEOT BOXER 2.2 HDI DIESEL. x1 FUEL PUMP PRESSURE REGULATOR VALVE (PART NO: 294009-0260). x1 FUEL PRESSURE RELIEF VALVE (PART NO: 6C1Q-9H321-AB). x1 FUEL RAIL HIGH PRESSURE SENSOR (55PP05-01). TO FIT THE FOLLOWING MODELS;. OE (Manufacture Part No): 0281002698 - 0281002699. 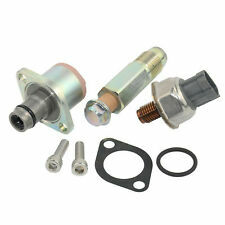 X1 FUEL PUMP PRESSURE REGULATOR VALVE (PART NO: 294009-0260). x1 FUEL PRESSURE RELIEF VALVE (PART NO: 6C1Q-9H321-AB). x1 FUEL RAIL HIGH PRESSURE SENSOR (55PP05-01). -CITROEN RELAY 2.2 HDI DIESEL. With these parts you can replace your defective parts simply plug and play. Vauxhall Astra 1.7 CDTI All BHP Variants 2007 Onwards. VAUXHALL / OPEL ASTRA MK5 & ASTRA H 1.7 CDTI 2004-ON ALL BHP VARIANTS. VAUXHALL / OPEL COMBO MK2 1.7 CDTI / DI / DTI ALL BHP VARIANTS 2001-2011. OPEL COMBO TOUR 1.7 CDTI / DI / DTI ALL BHP VARIANTS 2001-2011. 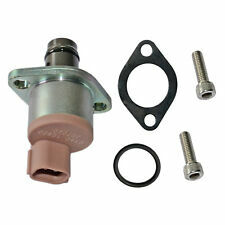 X1 FUEL PUMP PRESSURE REGULATOR VALVE (PART NO: 294009-0260). x1 FUEL PRESSURE RELIEF VALVE (PART NO: 6C1Q-9H321-AB). x1 FUEL RAIL HIGH PRESSURE SENSOR (55PP05-01). -LAND ROVER DEFENDER 2.4 DIESEL. -PEUGEOT BOXER 2.2 HDI DIESEL. THIS VALVE CAN BE FITTED TO THE FUEL RAILS WITH THE FOLLOWING PART NUMBERS Labour claims are never accepted. 2 PIN CONNECTION. Zone 2 (Rest of the World). PART NO: 0 281 002 698. Always match the manufacture (OE) numbers to our lists of numbers. TO FIT THE FOLLOWING MODELS;. RENAULT KANGOO 1.5 DCI 1997-2010. -RENAULT CLIO MK2 1.5 DCI 1998-2014. -KIA SEDONA MK2 2.9 CRDI 1999-2014 / KIA CARNIVAL 2.9 CRDI 2001-ON. -RENAULT CLIO MK3 1.5 DCI 2005-2014. -RENAULT SCENIC MK2 1.5 DCI 2003-2014. FORD FOCUS MK1 1.8 TDCI 1998-2005. -FORD MONDEO MK3 2.0 & 2.2 TDCI 2000-2007. UK / US / DE / HK warehouse. We will be very happy to help you. We have four warehouses -TATA SAFARI 2.2 TDCI 1999-2014. CITROEN RELAY 2.2 HDI DIESEL. -FIAT DUCATO 100 MULTIJET 2.2 D DIESEL. -PEUGEOT BOXER 2.2 HDI DIESEL. -LAND ROVER DEFENDER 2.4 DIESEL. With these parts you can replace your defective parts simply plug and play. FORD 6C1Q9358AB. FORD 1514885. -CITROEN RELAY 2.2 HDI DIESEL. -LAND ROVER DEFENDER 2.4 DIESEL. With these parts you can replace your defective parts simply plug and play. OEM Part Number. III.Fit For the Following. FORD 1514885. -LAND ROVER DEFENDER 2.4 DIESEL. FORD 6C1Q9358AB. With these parts you can replace your defective parts simply plug and play. Fit For the Following. OEM Part Number. Our warranty is valid for max.